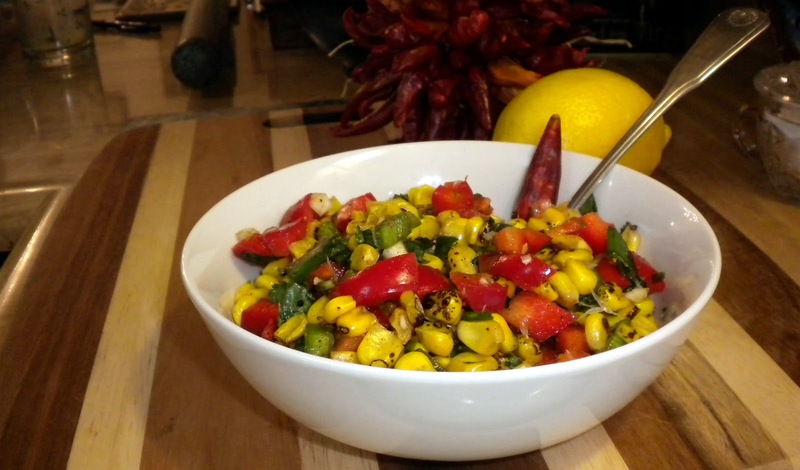 So this Corn Salsa Salad can be either a salad or a salsa, we really like it both ways. If you are making it as a salad, just chop everything up in large pieces, if it is to be a salsa just dice everything up really fine. You can make it and serve it right away but I prefer to let it sit in the refrigerator and chill over night, the flavors really melt together making it worth the wait. Enjoy! Whisk all ingredients together in a medium mixing bowl, chill until ready to serve. Mix together all ingredients in a large mixing bowl. Before serving toss with dressing and chill for 10-15 minutes. Toss once more and serve, Enjoy!